Hermit crabs serve a very valuable purpose in household aquariums; as scavengers, they enjoy feeding off of algae and organic debris that might otherwise cloud the water or detract from the tank's appearance. 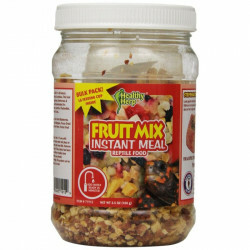 However, they do still require a regular source of nutritious food. As they have adapted to their roles as scavengers, the variety of foods hermit crabs can consume is large, ranging from fruits to vegetables to cooked meat (without preservatives). Pre-formulated pellet food is an ideal feeding source, as it provides proper nutritional balance and ease of use. When properly fed and cared for, certain hermit crabs can survive as pets for years, if not decades! 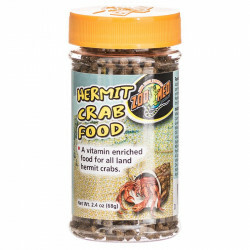 Pet Mountain's Hermit Crap Food store features top quality crab foods from the most trusted names in the aquarium care industry, including the San Francisco Bay Company, Zoo Med, Hikari and HBH Pet Products. 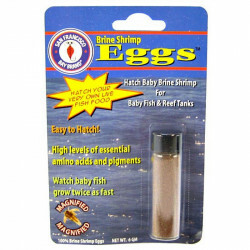 Brine Shrimp Eggs from San Francisco Bay Brands come from the company's FDA certified solar salt ponds in the San Francisco Bay Area. These ponds are known for being rich in algae and diatoms, and yield brine shrimp eggs with high levels of essential amino acids and pigments. 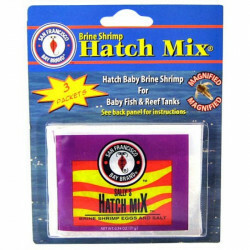 San Francisco Bay Brine Shrimp Hatch Mix comes with three packs of hatch baby brine shrimp for baby fish and reef tanks. 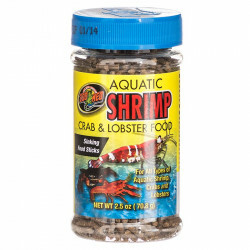 Shrimp Hatch Mix is pre-measured and mixed with both the brine shrimp eggs and salt. Ready for you to get started on your own hatching. Hatch mix uses "Epsom salt" and rock salt to help buffer the water. 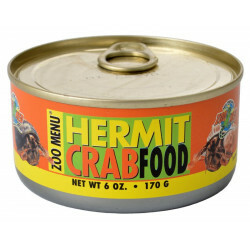 For a simpler meal, try Zoo Med Hermit Crab Pellets. 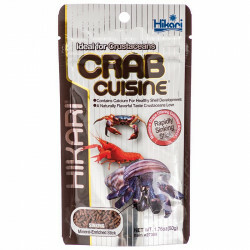 These pellets make a perfect food for all land-type hermit crabs. 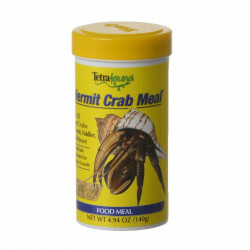 Hermit crabs are scavengers in nature, and eat a variety of foods. 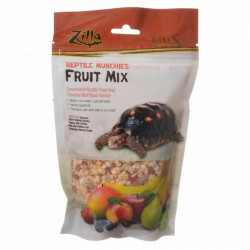 Zoo Med moist canned Hermit Crab Food and Repti Cricket are also excellent foods to supplement your hermit crab's diet.